Drain and Sewer Video Inspection for your home system is a great thing to do after drain cleaning or sewer cleaning. We probably root around 10-15 sewer lines a week around here. And for much of the time of our sewer repair services, we remove tree roots. Some people get pretty freaked out when we pull out tree roots, but we tell them “Well, the next step to figuring out what the condition of your sewer is, is a video inspection. We may have one bad spot or we may have ten bad spots”. 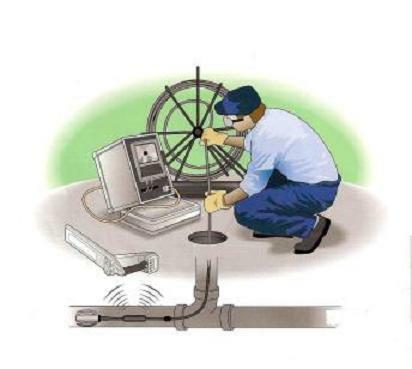 For sewer video inspection, NJ plumbers lower a fiber optic camera directly into the sewer pipes. pretty ugly situation when it occurs. So protect yourself and get as much information as you can! I hope you found these tips useful today. If you’re having problems with your sewer line, call us any time at A1 Sewer & Drain Services for help from an experienced NJ plumber. 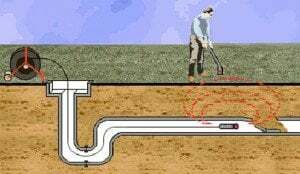 Sewer video inspection is the first step in solving problems with a sewer main line. 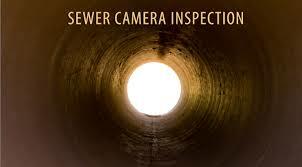 Clogged or broken sewer pipes can cause similar plumbing problems, so camera inspection is important. By viewing the video feed, NJ plumbers can determine the exact cause of the problem, so that they can find the right way to fix it. For clogged sewer pipes, sewer cleaning with hydro jetting will take care of the problem. Hydro jetting is a quick process that can take as little as 30 minutes, and even tree roots and other tough debris can be easily removed. Cracks, corrosion, and other pipe damage can require more extensive sewer repairs. Fortunately, trenchless sewer repair methods like pipe lining can allow sewer plumbers to patch up a broken pipe without replacing it completely– no digging necessary. At A1 Sewer & Drain Services, we also offer sewer replacement service for severely damaged pipes. When pipes have collapsed or broken apart completely, they can’t be patched up with pipe liners. Instead, either sewer excavation or trenchless pipe bursting can be used to completely replace the damaged section of pipe. Give us a call anytime 24/7 for immediate sewer cleaning or repair service in NJ! And I also realize that you never want to see a plumber in your home, but if you do (need one), give us a ring. Go to our website and give us a ring and we’ll be there to help you anywhere in New Jersey in Bergen County, Essex County, Morris County or Hudson County for any emergency call 24/7. To find out more, or to get service today, call us any time at 201-645-0888.